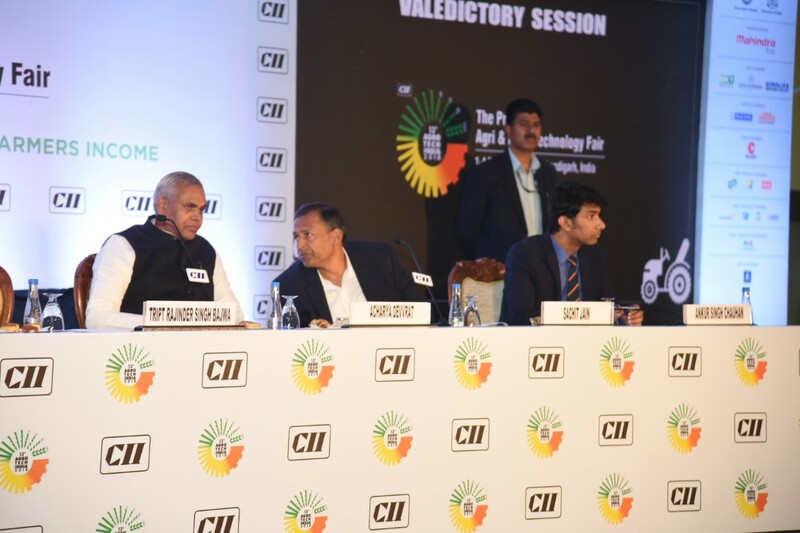 30,000 farmers visit, Rs 100-cr business leads generated, as CII Agro Tech India 2018 concludes : Business and farming need to go together so that the farmer can be given his due, with this broad thought, curtains came down on the 13th CII Agro Tech India 2018, on at the City Beautiful’s Parade Ground since December 1, on Tuesday. Over the four days, around 30,000 farmers visited the event and saw 195 stalls (37 of these were international); 10 concurrent shows, and a number of Kisan Goshthees and conferences to enhance his practical knowledge. Stalls like tyres, small agri-equipment and the special Innovators’ pavilion were a huge hit. The stall for products made by Burail jail inmates was also successful. At the valedictory session, chief guest, Acharya Devvrat (Governor of Himachal Pradesh), emphasised the importance of going natural for farmers. Others present on the occasion were Tript Rajinder Singh Bajwa, (Minister for Rural Development and Panchayat, Water Supply and Sanitation, Government of Punjab; Navraj Sandhu, Additional Chief Secretary, Agri and farmers welfare, Haryana; Mr. Sachit Jain, Chairman, CII Northern Region; Mr. Sameer Gupta, Deputy Chairman, CII and Mr. Ankur Singh Chauhan, Regional Director, CII Northern Region. 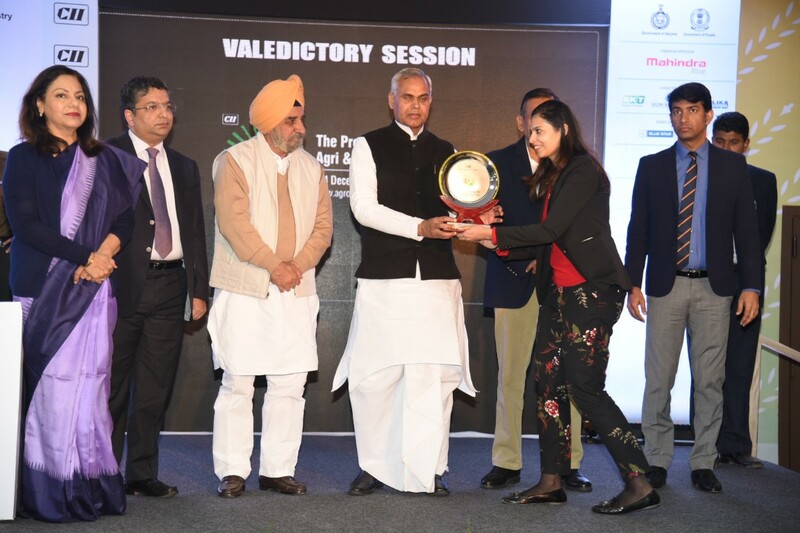 Ms Navraj Sandhu, Additional Chief Secretary, Agri and Farmers Welfare, Haryana, said, “I congratulate CII. I have been observing the CII Agro Tech India for the last 22 years. Every time, it gets bigger and better as has happened this year too. Agriculture and business are not antithetical. We need to reduce the proportion of people who take to agriculture. Technology needs to be cost effective. In addition to the Ghosthees, there were concurrent conferences on crucially relevant topics for times of today like Post Harvesting management, stubble burning, and enhancing shelf-life of commodities. In these, 112 experts from many countries like Canada, Belgium, the UK shared their experience with around 1,300 participants. Farmers had come with specific queries like Jasbir Singh from Ferozepur, who was looking for a Papaya plucker from a stall at the Innovators’ pavilion, called Hectare. This particular stall, had machines like apple plucker and saffron dryer and belongs to a former ISRO scientist, Nitin Gupta, who stays in Zirakpur. 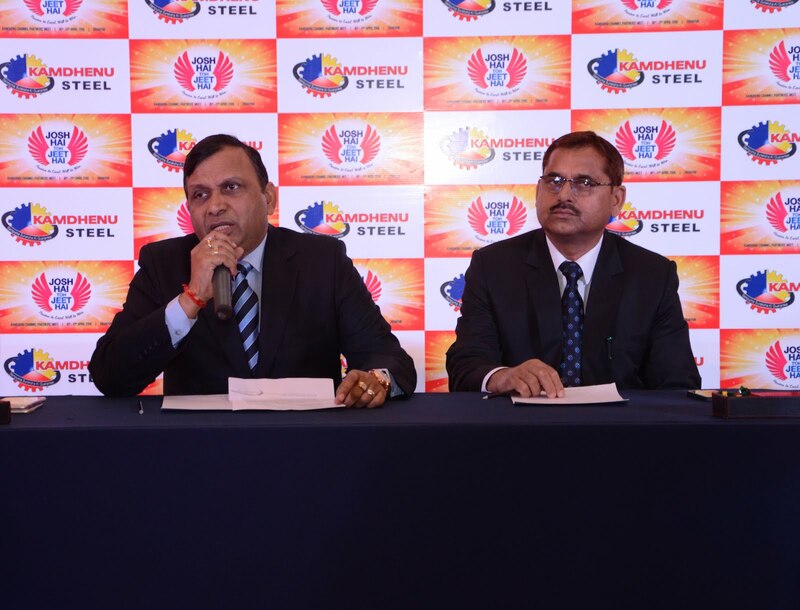 Punjab and Haryana were partner states and over the four days, around 3,800 B2B meetings were held. Even farmers from Tamil Nadu visited the fair. Around Rs 100 crore business leads were generated at the CII Agro Tech India 2018. Over 95% of the farmers had rated the event as excellent or good, with 99% rating it as meaningful. 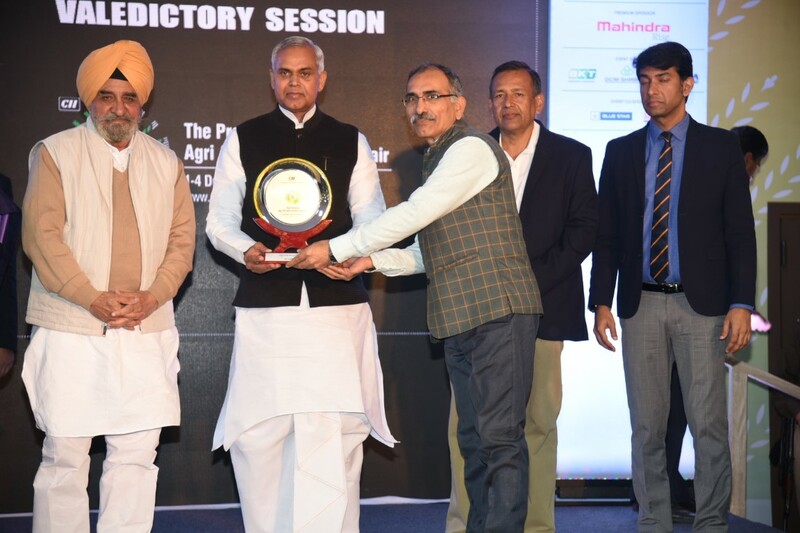 At the CII Agro Tech India 2018 valedictory session, there were awards for stall across various categories. The first prize for the best stall display, in International Pavilion went to Consulate General of Canada, Chandigarh. The first prize for the best stall display, in DAIRY AND LIVESTOCK EXPO went to Lakshya Food (India) Ltd. In Farm Services, the first Prize for the best stall display went to Elcomponics Aerob Technologies India Pvt Ltd. For Farm Tech, the first Prize for the best stall display went to Mahindra & Mahindra Ltd. The first Prize for the Best Stall Display in the FOOD EXPO went to Field Fresh Foods Pvt Ltd. The first Prize for the best stall display, in the FOOD TECH went to Blue Star Ltd. The first prize for the best stall display, in GOOD EARTH went toDCM Shriram Ltd. The first prize for the best stall display, in INNOVATORS PAVILION went to A2P Energy Solutions Pvt Ltd.